Now that I have finished a group of bridesmaid dresses, I can start making what I am wearing to the wedding. Being a bit of a fabric hoarder, I though I’d search through my stash for some inspiration. Many a time I have gotten carried away with the selection of materials on sale and my head full of ideas of what to make. I’ve made the mistake of buying without a plan and then not having enough for what I eventually want to make. Other times, a commission comes up and my personal projects are pushed to the end of the list. I currently have a coat pattern ready to cut when I have the time. Sketching out ideas in my notebook. I plan this year to use up my existing fabric hoard. I have acres of wool, checked flannel, checked cotton, denim and twill that I could make a whole winter wardrobe from. I also have light summery printed silks but are only measuring 50cm to 1 metre long. This will involve some creative pattern cutting to make them fit. A ditsy floral printed silk is first on the list to be used. I designed a fifties style full circle skirted dress with gathered shoulders finished with matching bows. 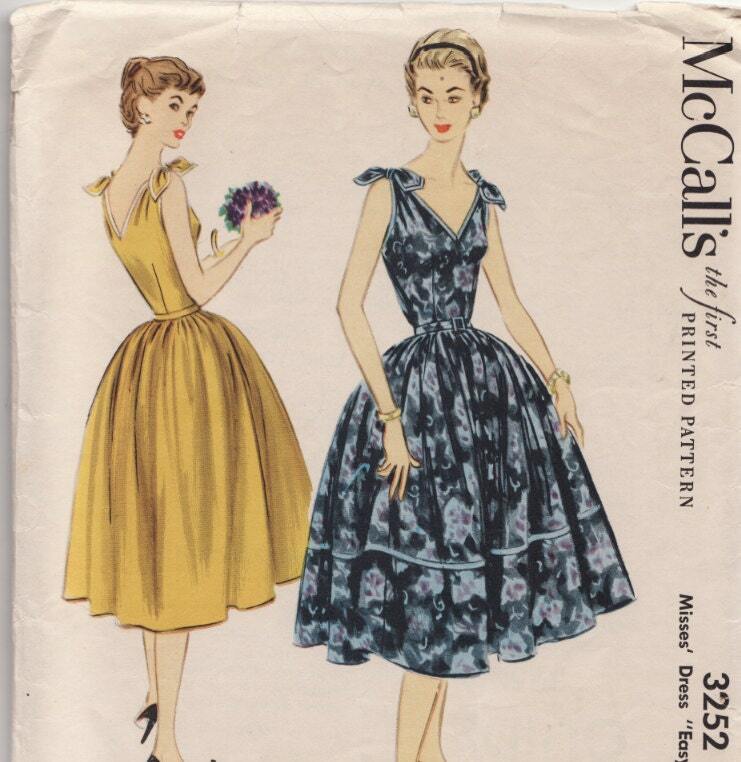 (Browsing through Pinterest I saw the exact same design on a vintage pattern from the fifties so, yes, fashion does go in circles.) I’ll edge the whole bodice and bows in matching piping for a nice vintage touch. I would love more people to get into sewing. Back in my grandparents time, many people got their clothing made or they made them themselves. 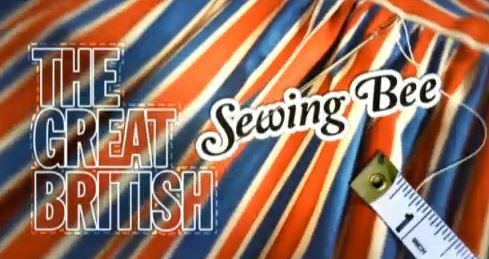 And now with the popularity of the Great British Sewing Bee and an abundance of home sewers blogs (including tutorials!) we could see a resurgance. It’s so rewarding, it lasts longer, has a better fit and you take more care with something you’ve put so much time into. Even a seasoned sewer like myself still picks up helpful tips from the sewing blogs. The photographs show step by step guides in everything from inserting sleeves to altering patterns to your own specifications. A haberdashery can also be daunting at first but there are some helpful blogs out there to guide you: from pattern making tools to machine sewing equipment. My main tip would be to start simple and take your time. Boring, I know, but the more care you take at the beginning to understand the hows and whys of it all, the easier it will get with practice. And then maybe you can make that garment you’ve always wanted but could never find when shopping. How great would that be?